What’s The Difference Between DUI and DWI in Texas? 1 Comment on What’s The Difference Between DUI and DWI in Texas? This is a question that gets asked pretty often so I thought it’s worth explaining. Many people use the words DUI and DWI interchangeably when these problems come up. Some states call it DWI, others call it DUI, and some states have different criminal charges for DWI vs. DUI. The differences can be quite large. DUI stands for Driving Under the Influence. DWI stands for Driving While Intoxicated. The potential punishments and consequences between the two can be very important if you’re charged with either in Texas. What is considered a DUI in Texas? As I mentioned before, DUI means driving under the influence. Texas DUI charges are focused on minors ONLY (under 21) who have consumed alcohol. As a matter of fact, the criminal charge for DUI is covered under the Alcoholic Beverage Code § 106.041. Police can charge a minor with DUI if the minor is operating a motor vehicle or watercraft in a public place, with ANY detectable amount of alcohol (alcohol alone) in their system. Texas, like many other states, is a zero tolerance state for minor alcohol consumption and driving a boat/car. What does this mean if a minor is pulled over? Police have a wide amount of latitude when they have someone pulled over in deciding whether or not to charge them with a crime. However, the reason for the stop still needs to be based upon reasonable suspicion. If a police officer stops a minor during a traffic stop and smells alcohol on their breath, they may still ask them to perform the field sobriety tests or blow into a Breathalyzer. These tests will help the police determine whether or not you’re safe to drive. Also, it will give them a clues as to what levels of alcohol are in your system and what the effects are. Whether you’re at .01 or even lower as a minor, the police can still ticket you for DUI! The police officer is not required to arrest the minor. The police officer can let the minor go with an appearance ticket to show up in Court. What is the punishment for DUI in Texas? DUI in Texas is generally a Class C Misdemeanor. Two or more convictions make your record ineligible to be sealed. How is DWI Different From DUI? So, what’s the difference between DUI and DWI in Texas? In the most basic sense, DWI is a more serious form of DUI. For someone to be charged with DWI, they have to be under the influence of drugs and/or alcohol to the point where they don’t “have the normal use of mental or physical faculties by reason of the introduction of alcohol, drugs, or both drugs and alcohol.” This language comes directly from Texas Penal Code Chapter 49.04. DWI can also range from a Class B Misdemeanor to a First Degree Felony (life in jail). Depending on the facts of the case, whether or not someone was injured, and how many prior convictions you may have, your can be faced with life in prison. 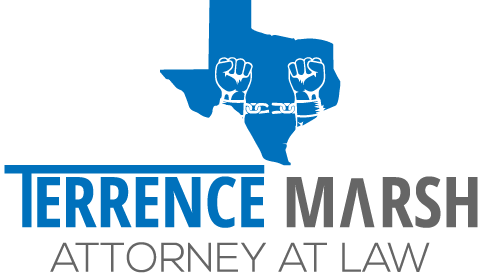 For a broad overview of DWI, the process, license suspensions and other posts I’ve written on DWI, click here to go to my DWI in Texas page for more information. In a future post, I’m going to describe felony DWI in more detail.